This weekend Disney Family is having a gingerbread themed #DisneyWeekend! 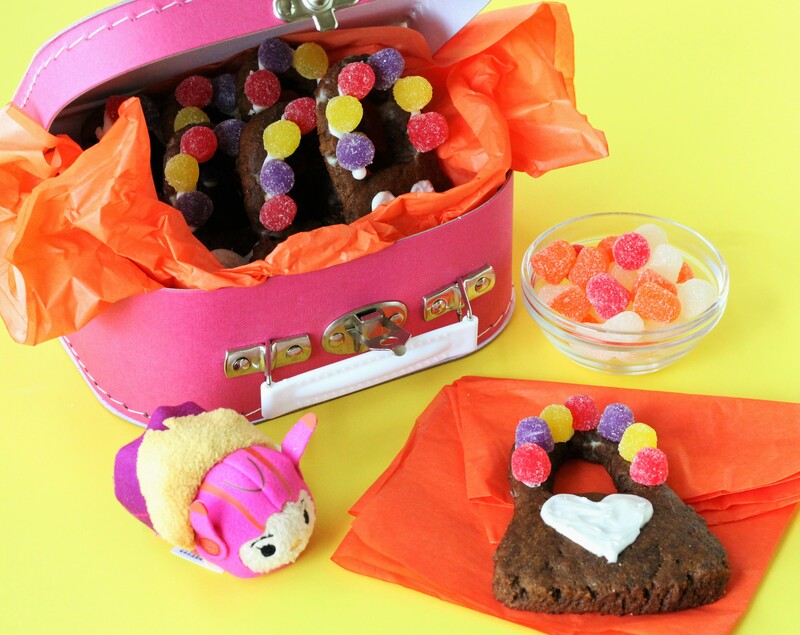 To play along, I made healthy gingerbread cookies that are inspired by Honey Lemon’s purse. I have always loved the film Big Hero 6, and have started watching Big Hero 6 the TV series on Disney XD with my daughter, which has made her obsessed with all thing Big Hero 6! She particularly loves Honey Lemon (because my daughter is a little fashionista). With Honey Lemon’s purse handle seeming reminiscent of gum drops, I thought it would be perfect to make her purse into gingerbread cookies, with gumdrops on her purse handle, and a frosting heart! Combine all your dry ingredients together in a bowl. In a separate bowl, combine all your other cookie ingredients. Combine your wet and dry ingredients well, and then cover and place in the refrigerator for an hour to overnight. Place your dough on a cutting board lined with parchment paper. Add another layer of parchment paper on top, so your dough is sandwiched in between. Roll your dough out so it’s 1/4 inch thick. Use a small knife to cut the shape of a purse (make sure the handle is wide enough to hold the gumdrops). Bake 9-10 minutes. Allow cookies to thoroughly cool before decorating. Once ready to decorate, place refrigerated can of coconut cream, vanilla, and sugar in a bowl and mix together (an electric mixer works best). Place in a piping bag with a number 3 tip, and pipe on a heart on each cookie. Next, pipe on frosting on the purse handles, placing gumdrops on top to decorate.